Rachel Carson, environmentalist and author of "Silent Spring." 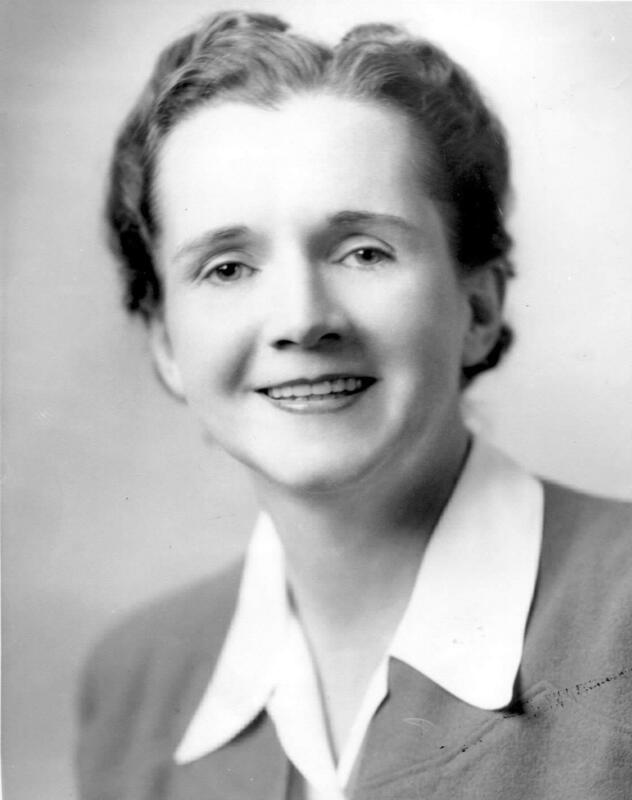 In 2012 a symposium was held in Pittsburgh, at Chatham University and the National Aviary, to commemorate the 50th anniversary of Rachel Carson’s ground breaking book "Silent Spring." Out of that symposium came the idea to develop a documentary about the late environmentalist-author’s life and humanitarian efforts, in a film called "The Power of One Voice." Producer/director Mark Dixon and Patricia DeMarco, former executive director of the Rachel Carson Institute at Chatham University teamed up with the Steeltown Entertainment Project, Carson's biographer Linda Lear and Carson's adopted son Roger Christie. Dixon explains why it was so important to have Linda and Roger take part in the film. "Roger brings such a personal element. I mean he lived with Rachel Carson as a child, while she was writing 'Silent Spring,' until her death. So he witnessed that first hand. So he brings that emotion and sentiment to the film very directly." The trailer for "The Power of One Voice" a film exploring the impact of Rachel Carson's work. The first Pittsburgh screening of this documentary is sold out, but you can find information about additional local screenings here. Although not as apparent today, Pittsburgh was once one of the top industrial cities in America- and one of the dirtiest. Often described as “hell with the lid off,” Pittsburgh of old was a city of dark noons where workers had to change their white shirts during the day. Since the Steel City’s mid-century renaissance, the air quality has improved significantly. Improving the water quality of the famed three rivers- which were often used as garbage disposal by past residents- has been a longer process. But encouraging news came out of the Pennsylvania Department of Environmental Protection recently, when they announced that the Monongahela River had been removed from the department’s list of Rivers with Impaired Drinking Water. The department’s Deputy Secretary of Water Management Kelly Heffner said that though this was a step in the right direction, there is still plenty of work to be done in Western Pennsylvania. About a dozen St. Marys officials, outfitted with baggy blue jumpsuits, earplugs and white plastic hard hats, recently visited a Seneca Resources well pad on a wooded hilltop to see what fracking is all about. This part of Pennsylvania, about 120 miles northeast of Pittsburgh in Elk County, has been relatively untouched by shale drilling. But people see it coming in two test wells Seneca has there now, with more wells in the future. As revilers traipse around downtown looking at holiday lights Friday night and through the rest of the holiday season, the Breathe Project hopes they will take a few moments to learn a little bit about the region’s air quality. The work titled Particle Falls is being projected on the façade of the Benedum Center on Penn Avenue. Its cascading lights give viewers a real-time look at how much pollution is in the air above their heads. To be more specific, it measures the fine particulate mater in the air.